LAKEVILLE, Conn. – Murray Smith, chairman of each year’s Lime Rock Park Historic Festival, announced that Bentley Motors has teamed with Lime Rock to be presenting sponsor of Sunday in the Park, the annual concours d’ elegance on Sam Posey Straight supported by the Gathering of the Marques, an enthusiast meet that sees 800+ collector cars displayed on the remainder of the 1.5-mile circuit. Sunday in the Park is a signature element of Lime Rock’s traditional five-day Historic Festival, and is organized by noted restorer Kent Bain. Bob Reed of North Kingston, R.I., has entered a 1929 Blower Bentley for the Saturday and Monday historics races, while another ’29, the spectacular Ralph Lauren-owned “Birkin” Blower Bentley, will be on show all weekend. 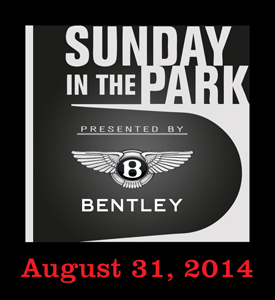 And at least a half-dozen Bentleys are expected to be entered into the Sunday concours. Dyson Racing is bringing one of its new Bentley Continental GT3 race cars, too.